If you remember Bundi to Menal tour I and Ashok ji – The guide riding Royal Enfield Thunderbird Twinspark motorbike towards Menal to visit Mahanal Temples and Math as well as Menal Waterfall. In-between while passing through Bijoliya Ashok ji requested to take left turn to visit Parshwanath temple. I said after Menal and later we visited Shree Digambar Jain Parshwanath Atishaya Teerthkhshetra for prayers and also had blessings of saint residing within the temple-area. How to reach Shree Digambar Jain Parshwanath Atishaya Teerthkhshetra? Shree Digambar Jain Parshwanath Atishaya Teerthkhshetra (Ph. : 01489-292101) is in Bijoliya. 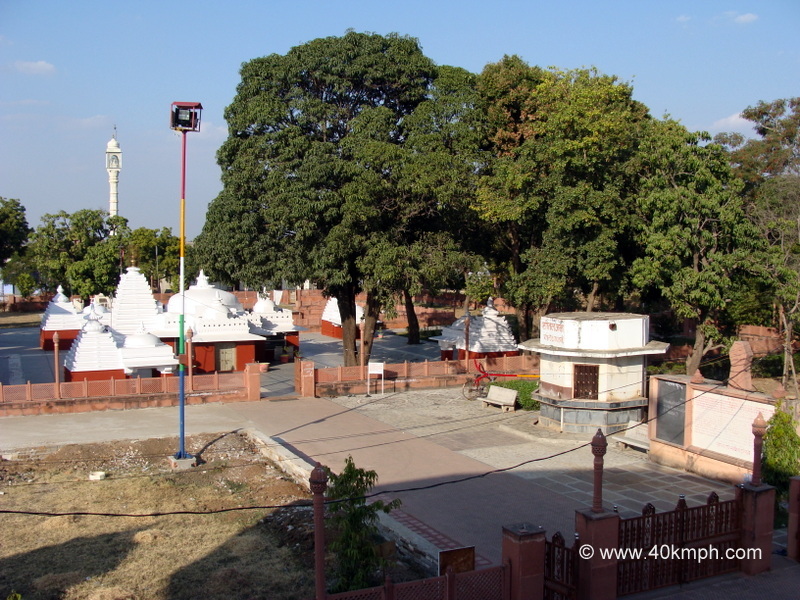 If you are touring Bundi and wishing to visit Shree Digambar Jain Parshwanath Atishaya Teerthkhshetra as we did please note Bundi to Bijoliya distance is approx. 52 km via Chittor road chauraha, Ramnagar, Neem Ka Kheda, Megharawat Ki Jhopdia villages. And not to forget on the way is Bhimlat Waterfall. Own vehicle, taxi the option or bus from Bundi Bus Depot another option. If not touring Bundi but passing through National Highway 76 towards Udaipur or Chittorgarh or vice-verse you can slow down at National Highway 76, Bijoliya to turn left or right as per your driving direction to visit Shree Digambar Jain Parshwanath Atishaya Teerthkhshetra, Bijoliya. The temple is approx. 1 km from National Highway 76. Bijolia to Chittorgarh is approx. 105 km and Bijolia to Udaipur is approx. 215 km. Both destinations can be reached driving via National Highway 76.